Unearth the World is all about partnerships. We love watching both our international partners grow and thrive and our university partners deepen their engagement. Today, I am proud to share a blog reflection from our dear friends at the Cornell Commitment Office. Unearth the World has worked with Commitment students at Cornell – and Stefana their fearless leader – since we were founded in 2014. This group has visited and served with one of our Nicaraguan partners – La Mariposa – each year. Below, you will hear briefly from the group’s leader, Stefana, and then from one student, Cameron, who is now launching an Unearth the World student chapter at Cornell: “UTW Cornell” after her transformative global service experience. Enjoy! 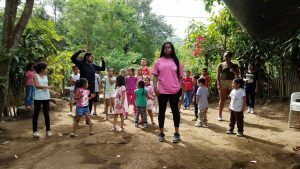 When I began this service-learning trip and program to Nicaragua back in 2015, I knew how important it was to build relationships with partner organizations from my previous work with community engaged programs. I desired to continue returning to the same place, a place I was familiar and had built some level of trust with, and an organization and community that became familiar with our group. While I wasn’t sure what partnership would look like in this context, I have always believed that sustainability and partnership go hand in hand. Thus, this past year I developed a program evaluation that will serve as a guide to continue the partnership between La Mariposa, Unearth the World, and the Cornell Commitment office into the years to come. Given the current unrest in Nicaragua, it’s also important for our program to continue to find ways to support the community members we spent time with, learned from and with while in Nicaragua. We are actively working with Unearth the World and La Mariposa to share ways to support the organization from afar. Please read here and here for more information. It’s been a joy to see how this program has developed over the past years, and to witness the students becoming involved on and off campus upon our return. A goal every year is to encourage students to take their learnings from La Mariposa and apply it to their education at Cornell. Please see below for a student’s reflection on what partnership means to her after her travels to La Mariposa. This January, I had the pleasure of traveling to a place that helped me feel more connected to nature and a community in a way that I have never felt. Nicaragua is a country whose residents are more connected to nature and each other than any place I have ever experienced. During my week of volunteering through Unearth the World at a Nicaraguan reading center called Los Martinez, my preconceived notion of familial, community, and friendship dynamics transformed in front of my eyes. I watched while children, expanded their fruitful minds with blocks and books instead of tablets. Siblings walked down the street and back to bring each other snacks from home. I recently came across a quote by the great Dr. Martin Luther King that encapsulates my motivation for striving to be a more proactive member of the service community: “…anybody can serve….You only need a heart full of grace. 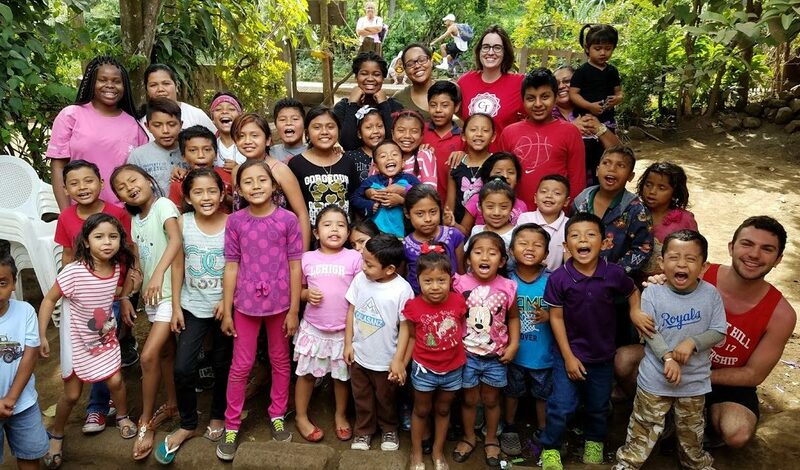 A soul generated by love.” In that way, members of the La Concepcion community all served us simply with their compassion, patience, and insight, even though my twelve companions and I were the ones embarking on a service trip. A wave of sadness washed over me as we departed. I felt fear as the shouts of Hola, buzzing insects, and raucous car horns of beloved Masaya became a large mass of greenery ten thousand feet below us. I feared severance from simplicity, termination of tranquility, the destruction of a diet. I feared the end. My travels had reached their bittersweet conclusion in all of their teary-hugged glory. What could I do to sustain my bond to a place and a vocation that had captivated me in a mere five days? After returning back to school, I quickly assimilated to my life in New York while continuing to look back on my time abroad with fondness. Little did I know that it is with the same fondness and enthusiasm that I would look forward. At the end of my week-long journey, I had challenged myself to resurrect a semblance of the peace and sense of self that I created in Nicaragua. But weeks passed. As my Spanish vocabulary became harder to conjure, the Nicaraguan horizons blurred at the edges, the scents and sounds harder to recall, I realized that I risked leaving the Cornell Commitment service trip to the mercy of memorialization by my frail subconscious alone. Inspired by the eagerness displayed by the teachers at Los Martinez, I decided that my experience in Nicaragua could not conclude in the stagnancy with which I abandoned my New Year’s resolution or the ten-year-old “Guitar for Beginners” packet that lay neglected on my living room floor. Our time in Nicaragua sparked such an intense ardor in me that I yearned for a way in which to spread knowledge of their rich history and culture. My commitment for service and my passion for reciprocity spurred me into action. The new relationships our group fostered along our journey showed me the importance of partnership. After undergoing the UTW pre-trip trainings, I recognized that the human themes that ignited the partnership between Cornell students and local Nicaraguan agencies can span distance, language barriers, and fictitious distinctions that humans created to divide one another. 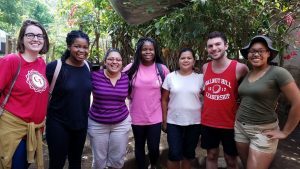 These lessons in ethical photography, cultural relativism, ethnocentrism, and culture shock proved to be crucial in creating the egalitarian partnership that was the foundation of our reciprocal volunteering experience. We joined with community organizers who reminded us to slow the bustle of our hectic lives and remember our influence over nature and other human beings. Our group at Los Martinez connected with the teachers, who opened up their space to us that we filled with our different perspectives, enthusiasm for learning from the children, and openness to whatever tasks we were assigned. Without the prevalence of partnership, our time in Nicaragua would not have breached the level of enrichment and discovery that it did. Anthropologist Margaret Mead once said to never doubt that a small group of thoughtful, committed citizens can change the world. Indeed, it is the only thing that ever has.” By introducing Unearth the World’s mission to “elevate global consciousness” to Cornell’s campus, I intend to create a space for like-minded, service-oriented individuals who embody that philosophy.